Working in assistance with a brilliant inventory management system and capacious storehouse has enabled us to entertain urgent and massive requirements of the customers. Fret not! Our payment procedures are completely transparent and you can rely on us, be it an online transaction, cash deposits or any other mode, you won't be disappointed with us. 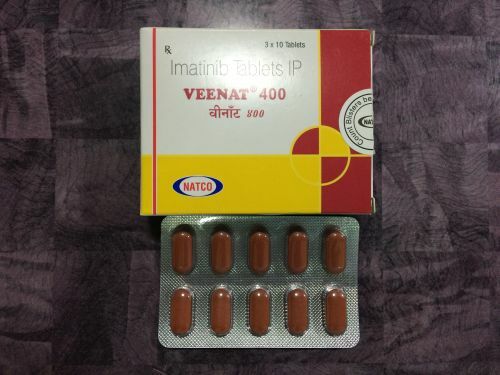 Veenat 400mg Tablet is used to treat certain types of leukemia and other cancers of the blood cells by inhibiting their growth.